When you get a wooden cutting board wet from cutting vegetables and washing it, over time the wet/dry cycle can lead to the wood warping or drying out. With a little care and maintenance you can keep your wooden cutting boards, spoons and rolling pins for years to come. 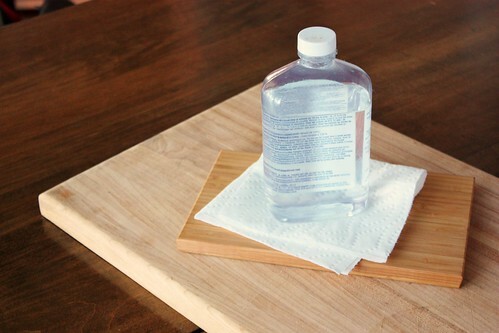 My number one tip with wooden cutting boards and utensils is to hand wash and towel dry them. The harsh detergents and heat from a dishwasher can ruin them, and air drying can lead to moisture getting into the wood, leading to warps and cracks. 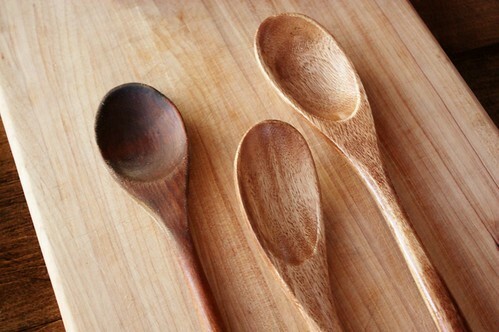 Conditioning your wooden boards and spoons with mineral oil can greatly extend their life and beauty. I aim to condition mine every 4-6 weeks, depending on how frequently I use them. 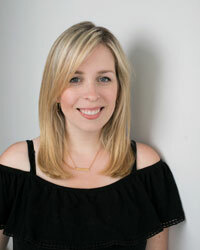 I use mineral oil instead of olive oil or canola oil, which can go rancid. Not all mineral oil is considered food-grade, so make sure to get the right kind. Generally, the mineral oil you see at a drug store is safe, while the kind you see at the hardware store isn’t, but always check the bottle. One bottle can last you for a long time. I also use the mineral oil to make my Homemade Eco-Friendly Furniture Polish. 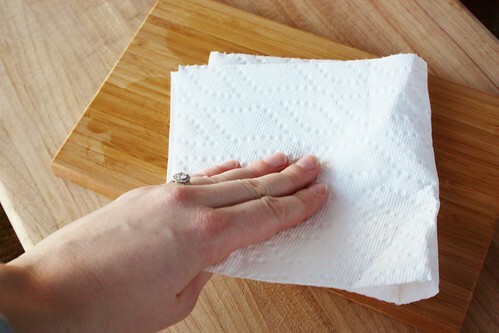 With a lint-free cloth or paper towel, apply mineral oil to the board, going with the grain. Continue to do so until the board stops absorbing the oil. Wipe off the excess and let it dry overnight. 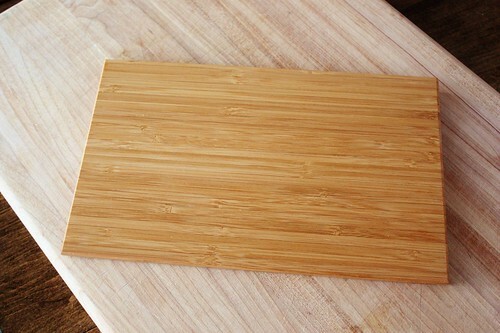 Before you use a new wooden cutting board, wash it, towel dry it and then when it`s completely air dried, condition it. Not all cutting boards come conditioned when you buy them, so this is an important step to keeping them in good shape from the beginning. Don`t forget to do your wooden spoons, spatulas and rolling pins too! I love the way the oil brings out the details in the wood grain on my wooden salad tongs (right). I’ve never used it on my wooden spoons. That’s a great idea. I’ll have to start doing that. I did use it on my husband’s wooden desk yesterday. I’m reorganizing and taking over the office, and his desk was so dried out, the furniture polish was not working. So I pulled out the mineral oil, and it looks wonderful now. I’ve also used it on an antique wicker table I have. I like using the food-grade kind, because it doesn’t go rancid and because my cat tends to walk on the desk when I’m using it.